This Autumn and Winter we have a brand new DIY wedding range of wedding decorations. 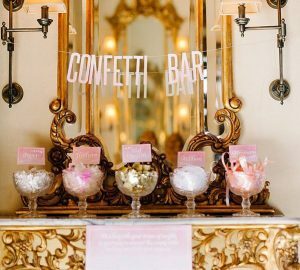 At The Wedding of my Dreams we know lots of our brides are DIY Brides. Whether you’re making your own stationery, wedding favours, table plans or just want to add the finishing touches to your wedding table decorations or gifts then browse through our new DIY wedding range. We have a range of ribbons and tape for adding DIY touches to your wedding table decorations, tying around your wedding favours, adding finishing touches to your stationery or tying around each guests napkin. 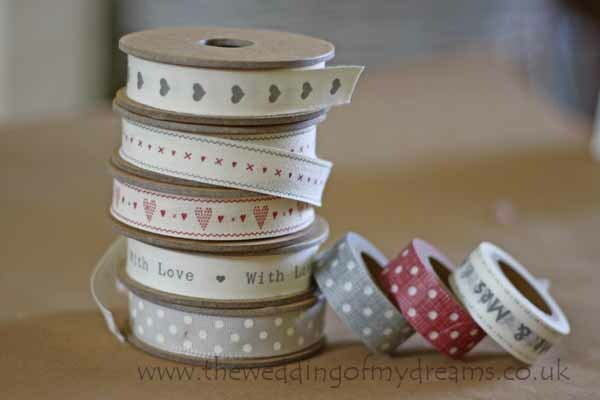 We love this fantastic decorative tape, use it to add finishing touches to your wedding favours or to wrap presents for special guests. 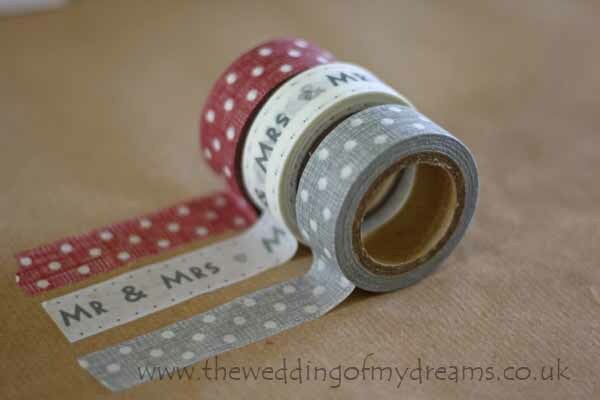 Tapes have different designs, red polka dot tape, grey polka dot tape, mr and mrs tape, with love tape. 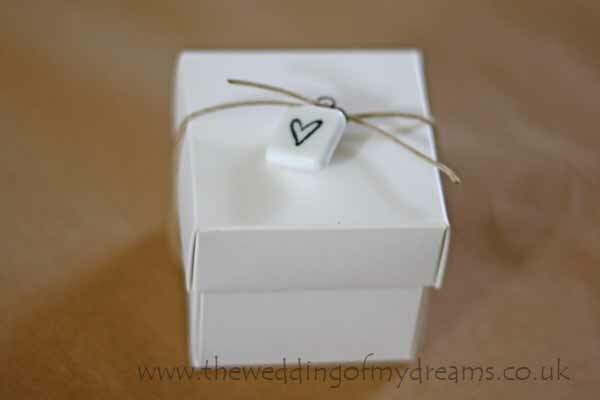 Add extra finishing touches to wedding table decorations and wedding favours with these cute scrabble hearts, finish off by tying with paper string. 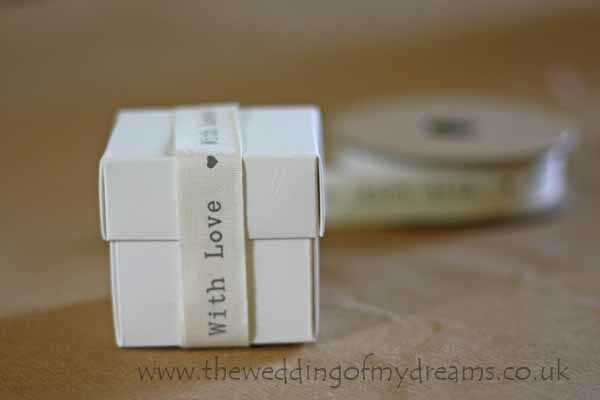 And make your bridesmaids gifts extra special with bridesmaids lovely gift tags. 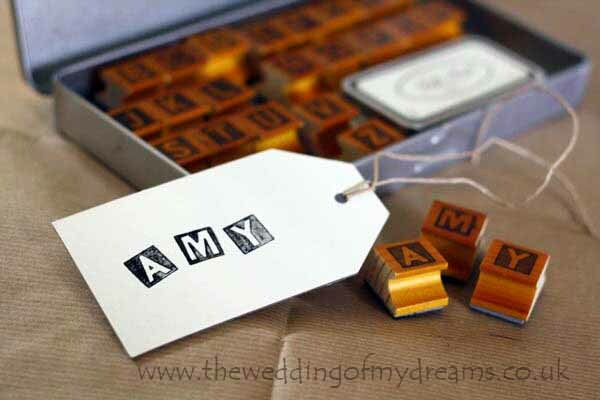 At The Wedding of my Dreams our favourite new product are these alphabet stamps. The stamps come in a vintage tin, with a complete set of A-Z block capital stamps. We think they’re fab! 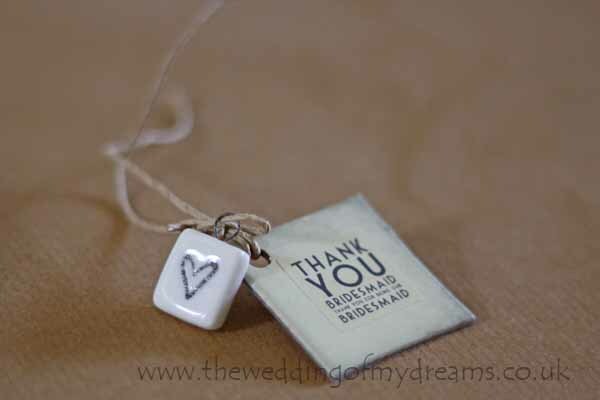 Use them for individual guests place settings on luggage tags, use them for your wish tree or guest book. 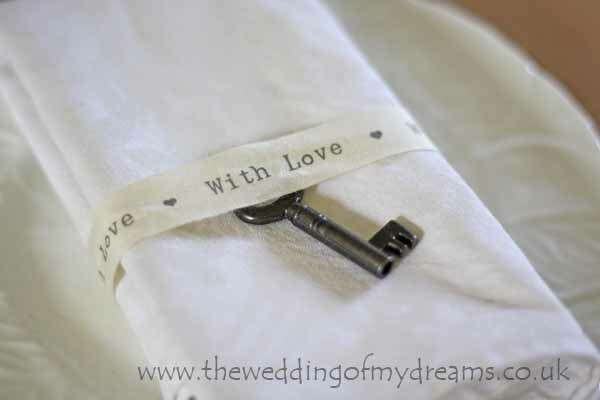 Or use them in the preparation to your wedding day… on your table plan or wedding stationery?